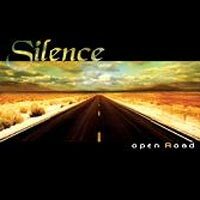 "Open Road", fifth album by Silence is now available! The project SILENCE was created in 1996 by multi-instrumentist Bruno Levesque. After several years in different bands, he wanted to play his own music without any compromise and started his own instrumental solo project called SILENCE. His last experiments consolidated him in the idea that one is never so useful than by oneself. In 1997, Bruno recorded the first SILENCE self-produced album called "The Fifth Season". Three years later, he recorded a second instrumental album called "Trouble in Paradise", released by the french Melodic Metal label BRENNUS MUSIC. The good feedback encouraged him to carry on with the help of a singer. The meeting with Jerome Cazard took place in early 2001 and two albums were released : UTOPIA and NOSTALGIA. A new chapter is now opening with the arrival of Ben Venet from the belgian band JAYHAWKERS on vocals. The result of this new collaboration is "OPEN ROAD", SILENCE's 5th album! Billy Joel's "The stranger" 30th Anniversary to be released on July 8, 2008! Legacy Recordings proudly celebrates the 30th Anniversary of Billy Joel's breakout album "The Stranger" with the release of two special editions -- a 2 CD Legacy Edition and a Deluxe Limited Edition including 2 CDs plus a bonus DVD -- of the best-selling multi-platinum collection which catapulted Joel into the upper ranks of pop music superstardom. Each of the 30th Anniversary editions of "The Stranger" will be available online and in stores on Tuesday, July 8, 2008. Originally released in September 1977, Billy Joel's fifth studio album, "The Stranger," marked the first of Joel's highly successful collaborations with producer Phil Ramone, whose mastery of the recording studio provided a sublime sonic context for Joel's timeless songs and classic performances. "I was very happy that we chose Phil Ramone," said Billy Joel in a recent interview for the 30th Anniversary edition of "The Stranger." "He got it right away." The resulting collection became one of the top-selling albums of the year (peaking at #2 on the Billboard Pop Albums chart); won two Grammys (Record of the Year and Song of the Year for "Just The Way You Are," "The Stranger" was nominated for Album of the Year); overtook Simon & Garfunkel's "Bridge Over Troubled Water" as Columbia Records Top Selling Album of the time, and generated four indelible singles -- "Just The Way You Are (#1 Adult Contemporary, #3 Pop Singles); "Only The Good Die Young" (#24 Pop Singles); "She's Always A Woman" (#2 Adult Contemporary, #17 Pop Singles); and "Movin' Out (Anthony's Song)" (#17 Pop Singles) -- that remain radio staples to this day. "I don't recall particularly feeling 'this is going to be the breakthrough,'" said Billy Joel in an interview for "The Stranger - 30th Anniversary Edition." "We were just happy with the album we were making at the time.... But now, in hindsight, I can see it was a real important album." Billy Joel's first Top 10 album, "The Stranger" is still the iconic performer's best-selling non-compilation album ever. Ranked at #67 on Rolling Stone's prestigious "500 Greatest Albums of All Time" list, "The Stranger" has earned the coveted RIAA Diamond Album certification (presented in recognition of US sales of more than 10 million copies). "The Stranger - 30th Anniversary" will be available in two configurations from Legacy Recordings. 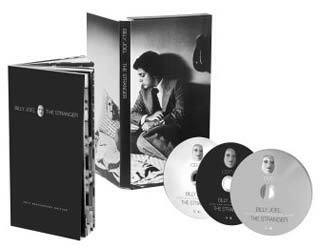 The limited deluxe edition of "The Stranger" includes a CD of the original album, in its entirety, remastered by producer Phil Ramone; a CD of a previously unreleased concert featuring Billy and his band, "Live At Carnegie Hall 1977," recorded at the historic Manhattan venue on June 3, 1977, one month prior to the sessions for "The Stranger" album and newly restored for the new editions of "The Stranger"; and a DVD showcasing two live promotional videos from "The Stranger" and the long-awaited release of Billy's fabled appearance on the BBC's "Old Grey Whistle Test," a seldom-seen sixty minute cavalcade from 1978 that has aired only once on the UK's BBC2. Rounding out the limited deluxe edition of "The Stranger - 30th Anniversary" package is a 48 page booklet with liner notes from Rolling Stone senior editor David Fricke and a multitude of photos, including never-before-seen images from the original photo shoot for the album. Also available is "The Stranger - 30th Anniversary" Legacy Edition which includes the CD of the original album, in its entirety, remastered by producer Phil Ramone; the previously unreleased, newly restored "Live At Carnegie Hall 1977" CD; and a 24 page booklet with liner notes by David Fricke and unseen photos from the album's original photo shoot. Originally formed in 1985, “Action” is a long-time concept devised by acclaimed guitarist / songwriter Chip of What Matters, Mars Hill and The Hitmen. Action features the soaring vocals of Jack Marques (Solo, Crossover, Unknown God, Mars Hill) and the musical talents of bassist Chris Sutherland (Mars Hill, Action), keyboardist Ruben Demello (Galactic Vibe Music Productions, Crossover, Unknown God, Mars Hill), drummer Chris Longo (Project Broken, Dirty Deeds, Hysteria, Promises) with additional drums from Mark Duane (Trendkill, Paradox, Action, Touch, Krankenstein). What is certain, these gems are fresh, melodic power rock - true to its 80's roots while delivering a modern kick! 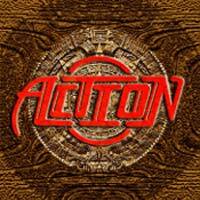 Action is an infusion of Boston meets Journey with touches of Whitesnake and Def Leppard. With this mix, Action delivers what rock fans have been waiting a decade or more for - screaming melodic guitars, soaring vocals, catchy choruses and rockin’ beats. Never feeling that Action was quite finished, in mid 2006, Chip approached friend and manager Ron Vining about getting the project off the ground again. In February 2007, Action were snapped up by Frontiers Records and the album was delivered a few months latr, with an artwork courtesy of Richard Mace (Journey, Soul SirkUS, Jeff Scott Soto). Read the full story of the band HERE! If you are addicted like us to the Band "Toto", please don't miss the upcoming Show dedicated to group. 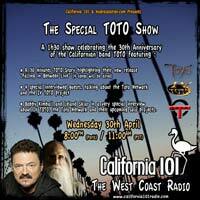 Starting Wednesday at 7.00 PM (GMT) on California 101. Kévin (of Hydrasolation.com) will be your storyteller and will interview Bobby Kimball as well as Leland Sklar. Don't miss it!!! Frontiers Records is proud to present the new chapter in the legendary career of multi-Platinum US rockers Journey - Neal Schon (guitar), Jonathan Cain (keyboards), Ross Valory (bass), Deen Castronovo (drums) and Arnel Pineda (vocals) – entitled “Revelation”. “Revelation” is the first Journey album to feature the angelic voice of Philipino singer Arnel Pineda. Guitarist Neal Schon says about him “We feel reborn. I think there’s a lot of chemistry between the five of us. The new stuff sounds tremendous. Everyone’s so stoked about it. We feel very fortunate to have found Arnel”. “Never Walk Away” kicks “Revelation” off with the resilient air and upbeat optimism fans have come to expect from Journey, a melody-soaked and guitar-driven anthem sure to ignite the live circuit just as it lights up the new release. The heartwarming sentiment offered by “Like a Sunshower” gives a more poetic and reflective look at relationships. It’s an uncharacteristic ballad from the more hard rock-inclined Schon. There’s even an instrumental, “The Journey (Revelation)”, at the request of producer Kevin Shirley, who returns to the fold after working with the band on “Trial By Fire” (1996) and “Arrival” (2000), the band’s first instrumental since “Departure” (1980) and “Evolution” (1979). “This is a special song for me”, Schon says of the sprawling track, “it was extremely gratifying to express myself on my instrument in this way”. This is a great performance from everyone in the band and truly a majestic track. 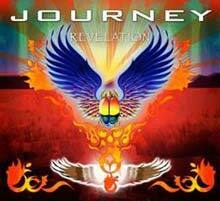 But every member of Journey shines on the whole of “Revelation”. Lead singer Arnel Pineda does plenty of head turning of his own throughout the new recordings, as well as the 11 classic hits that the band re-recorded. Jonathan Cain’s keyboards elevate “After All These Years” to new emotional heights. “What I Needed” is a power ballad, driven by heavy guitars, reminiscent of the early Journey that so many bands have modeled themselves after. Deen Castronovo drums up a frenzy during the hard-driving rock song, “Wildest Dream.” The talented Castronovo also sings most of the high harmonies heard throughout the album, proving that not only is he an amazing drummer, but he’s a dynamic vocalist as well. Schon’s smoking guitars rip through this track with a cool, eastern flavor. Bassist Ross Valory is steady throughout, a stabilizing force through the albums more driven highs and heartfelt lows. Frontiers Records President Serafino Perugino comments: “Working again with Journey is more than an honour for us. I wish to thank all the parties that worked hard to make this release happen, including Gabe Reed Esq, Azoff Management and the band for the continued trust in our job”. 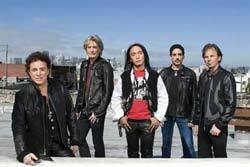 Journey will support the new album release in Europe with a highly anticipated tour. Jay Graydon and Randy Goodrum's new project "JaR"
Jay Graydon and Randy Goodrum have now finished their first album as JaR. Two years of hard work, writing and recording new material, has resulted in an incredible set of songs with amazing melodies, subtle lyrics and outstanding playing and singing by these seasoned musicians and accomplished songwriters. I assure you - you will not believe your ears! Take Randy's dazzlingly virtuosic keys - add Jay's magical inventive guitar playing, plus both cats' voices in a perfect blend... and if you can imagine Steely Dan meets Airplay and Pages with some jazzy flavors as well, a touch of humor, strong catchy melodies with intelligent lyrical hooks - yea, there you have it!!! The mixing and mastering is done - now time to shop a deal! Stay tuned for more info as things unfold! 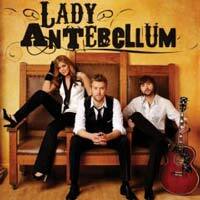 Lady Antebellum self debut album to discover! There has been a buzz in Music City since mid-2006 when Lady Antebellum performed together for the very first time. The trio- comprised of Hillary Scott (vocals), Charles Kelley (vocals), and Dave Haywood (vocals, acoustic guitar, keys)- says their name, "Lady Antebellum," represents a sense of nostalgia found in the songs they sing. "It felt like magic," says Hillary, remembering their first performance together, "We all felt more comfortable onstage together than we ever had alone." A year and a half later, the buzz on Lady Antebellum is as strong as it's ever been, and the rest of the nation will soon discover why. Hillary, Charles, and Dave, three young songwriter-musicians with varied influences and backgrounds, create a sound that is fresh and unique, yet still sounds like something you've known for a long time. The debut single, "Love Don't Live Here," is only the beginning for Lady Antebellum. James Lee Stanley and John Batdorf "All Wood And Stones"
Can you imagine what the Rolling Stones songs would have sounded like if Mick Jagger and Keith Richards were California boys with acoustic guitars? Would 'Satisfaction', 'Ruby Tuesday', or 'Last Time' been as powerful if they had been played on acoustic guitars and filled with vocal harmonies? Curious? 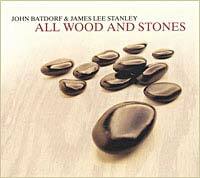 This week James Lee Stanley and John Batdorf re-releases their landmark album "All Wood And Stones" from 2004. They took 11 Rolling Stones classics and turned them into something totally unheard of. You don 't have to live in California or play acoustic guitar to be enchanted by "All Wood and Stones" - An amazing collection of Rolling Stones tunes, played on acoustic guitars and ladened with joyous vocal harmonies. "All Wood And Stones" takes you on a trip. It acts like a time machine. In a single moment you will find yourself hearing the Rolling Stones songs if they had come from a different world. Familiar and completely brand new. I See Hawks In L.A. "Hallowed Ground"
Formed in 1999 by Rob Waller and brothers Paul and Anthony Lacques during a philosophical discussion and rock throwing session on an East Mojave desert trek, I See Hawks In L.A. wrote their first batch of songs and then sought advice from local country rock guru David Jackson, sideman with John Denver, Dillard and Clark, and Emmy Lou Harris. Jackson set up a few mics and recorded Rob and Paul, adding his own melodic bass lines. This demo turned into featured songs on the Hawks eponymous debut on now-defunct Ethic Records, featuring legendary fiddler Brantley Kearns (Dwight Yoakam, Dave Alvin, Hazel Dickens). The CD established the Hawks signature sound: high lonesome three part harmonies, twang guitar and unadorned acoustic arrangements, with lyrics musing on mortality, whales, and the geography of pre-apocalyptic L.A. I See Hawks In L.A. received rave reviews, made the F.A.R. Alternative Country Chart, and continues to get regular airplay. With its experimental spirit and wide ranging musical influences, the record tweaked some traditionalists. But most agree that the Hawks have broken new ground. 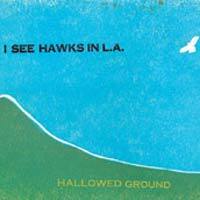 In March '08 the Hawks' 4th CD "Hallowed Ground," recorded in drummer Shawn Nourse's studio and Paul Lacques's Echo Park flat was mixed by Ethan Allen (Dengue Fever, The 88, Patti Griffin, Daniel Lanois) in January '08, with stellar guest spots from fiddlers Gabe Witcher and Dave Markowitz, pedal steel from Dave Zirbel, acoustic guitar from Rick Shea, and accordionist/pianist Richie Lawrence. Folkier and more experimental than previous Hawks outings, "Hallowed Ground" hits the street May 20, 2008. Listen to "Gettin Home Tonight", Now! Eleventh of eleven. The jungles of east St Paul. Endless darkness of Minnesota winters. We don’t really know where the gift of songwriting, or musicianship comes from, but Kristin Mooney certainly has both. She was bombarded with a wide variety of music from her brothers and sisters during the era of the late 60’s and 70’s. This may have had something to do with it, as she has clearly absorbed, filtered and condensed some of this music in hers. Kristin started as a singer and interpreter of songs, developing her voice and as appreciation of how a good song works before venturing to write her own. Patience has paid off. As both a full participant in and a reticent observer of life’s events and relationships, she has much to draw from as a writer. Her songs have a three dimensional quality – a broadness that is very satisfying. Personal and universal, with a cinematic vibe both sonically and lyrically. Her new CD “Hydroplane” is an achingly familiar yet surprisingly fresh sounding recording of her new songs – a record beautifully unencumbered by attachment to any musical movement or scene. It has a healthy respect for what has come before without being in the least bit “retro” or imitative. Good musicians have always been attracted to Kristin and her to them. The band she has assembled for “Hydroplane” is exceptional and together they have created a gorgeous record. Whatever the story, the history, influences – whatever paths led to this point, it is a high point for Kristin Mooney and well worth a good listen. 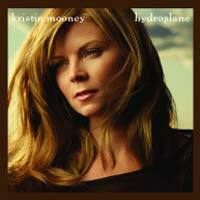 ”Hydroplane” is Kristin’s third CD. It was co-produced by Kristin and drummer/ percussionist Jay Bellerose (Robert Plant/Allison Krause, T-Bone Burnett). The core band is Jay, Jennifer Condos (bass – Ray Lamontagne, Ryan Adams, Joe Henry), Eric Heywood (guitars and pedal steel – Son Volt, Ray Lamontagne, Richard Buckner) and Patrick Warren (keyboards – Fionna Apple, Aimee Mann). Ryan Freeland was the mixing engineer (Aimee Mann, Joe Henry, Jakob Dylan).